Why Lip Balm is Important in your daily life ? We care so much about our skin and other part of our body but how many of you pay attention to your lips? I am one person who really hate dry and chapped lips. Especially the one until bleeding. Not only my lip look super ugly. It hurt too. isk isk isk. To me getting my lip healthy looking can boost up my confidence too. I always apply lip balm before apply anything on my lip. Even if I am super lazy to apply anything...lip balm is a must for me to apply. There are so many lip balm out there in the market. You are spoil with lots and variety of choices. 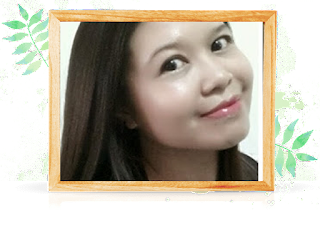 I usually choose the one made by well known company , Mentholatum and their famous brand LipIce. 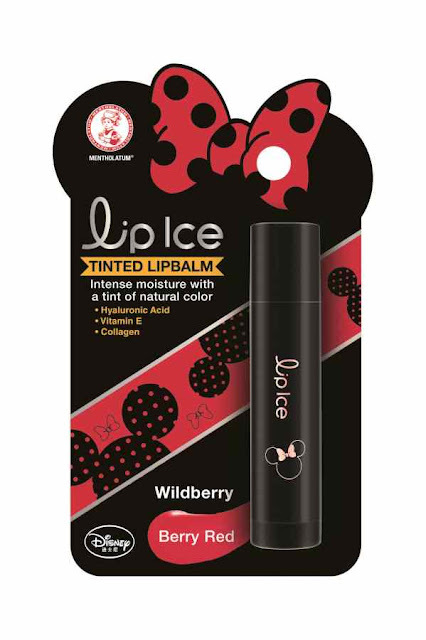 I bet you gals heard about this brand call LipIce. LipIce is famous with its lip moisturizing formula. Recently , LipIce launched LipIce Tinted LipBalm. Best of all it now comes in a brand new Disney look. Wuhuuuuu!!! your young and teenage daughter would want this. Even I am way over that teenage young age, I am all for this first of its kind in the market.Taddddaaahhhh!!!! Disney edition LipIce Tinted LipBalm package comes with contrasting black and pink designs to give a young, vibrant and fun feel. Who is the Disney fan??? I grew up with Disney. So no matter young or old I would want to get my hands on this new design. LipIce Tinted Lipbalm is an ultra-nourishing tinted balm and its not only moisturizes lip but also protect and best of all.....it leave a soft natural pink tint with great sweet refreshing berry flavor. You just need a one glide of this onto your lips for instant revitalizes and moisturize your lips. LipIce Tinted Lipbalm formulated with Super Hyaluronic Acid which works to seal in moisture in the lips for long lasting hydration. The formulation includes Meadowfoam Seed Oil and Collagen to help improve lip texture for bouncy and smoother lips. Did I mentioned it contains Collagen which is an anti aging ingredient to helps restore elasticiy to lips. Vitamin E is also included in formulation for effective antioxidant to help repair dry lips and keeping them smooth and healthy. The LipIce Tinted LipBalm Disney Edition available in 3 shades that comes with different Berry Flavors and available at leading pharmacies and major supermarket outlets at RM12.50 each. Even men uses lip balm and this collection is super cute - luckily the casing is all black, looks exclusive too. This sounds like a great lip balm. I love the cute Disney packaging. When I saw it, I think of getting it for my daughter since I'm more of a lipstick person. I'm prefer lip balm than lipstick. Lipice also my favorite lip balm. Poppy pink please! Tinted lip balm is my preferred choice than lipstick! I've always loved the lipice brand! The disney theme is cute. I'm using lipice. I love Berry Red.. Disney? I'm a fan too! Such a cute packaging. I am sold. However, I just bought one from Silky Girl. Argh, I better not take ages to finish using it! Disney series looks super cute! Been years since I've used Lip Ice but their packaging's getting cuter and cuter leh! I'm a Disney fan too! And the packaging is so cute! Can't wait to get my hands of these babies! i always have lip balm in my pocket or in my bag. We are using thesame brand. Im using Lip Ice for more than 6 months now but it was good to know that they have the disney items now. How to Win Back Lost Customers ? Do SugarBearHair really Works ?